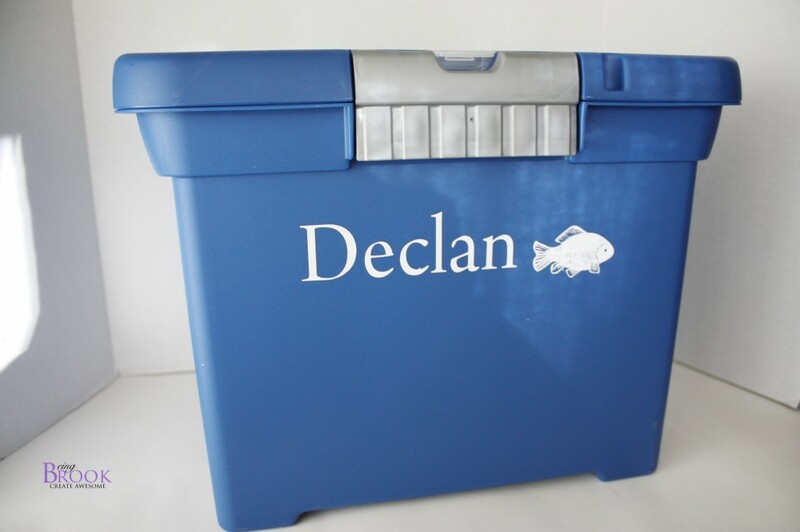 It's January which means that it's time to start organizing. I am really trying to tackle the paperwork at my house. I'm terrible at paperwork and like to make paper piles. Then when I get too many piles and am having guests over I take the pile and slide it into a laundry basket and put it in a closet to deal with later. GASP! Shameful. Part of the reason my paper is a mess is because its not easy to file things because my file drawers are too full. 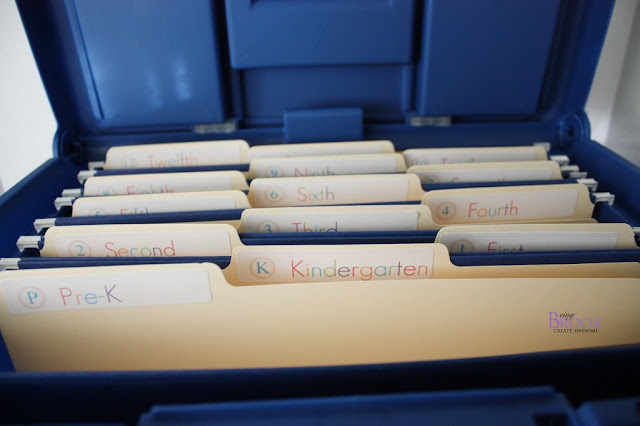 Then I found this fabulous idea on Pinterest from IHeartOrganizing to put your kids school papers in their own files. Oh Pinterest how you solve so many of my problems. Genius. 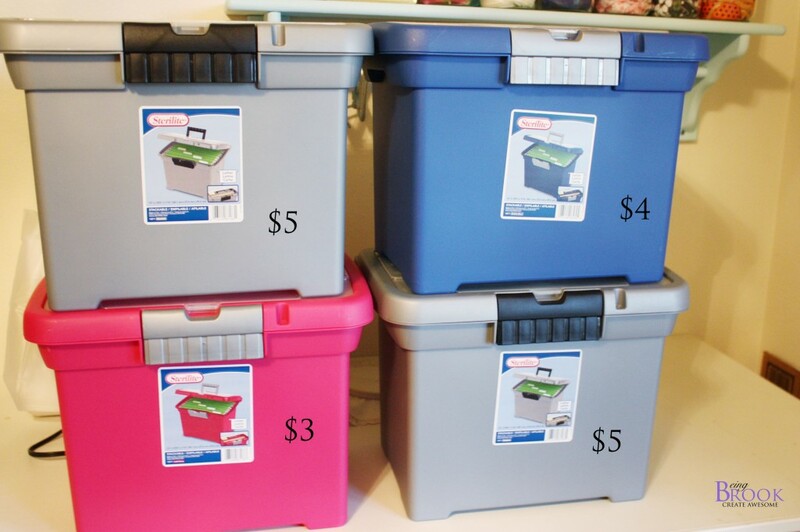 I bought 4 plastic file bins from Walmart. They were on an end cap and on sale. Which I still don't understand because they had some that looked almost exactly the same in a different display for like $10. They were really dusty and must have been last years colors or something. Along with my paper problem I have a container collecting problem. A horrible addiction. Luckily since these were so cheap my darling husband only rolled his eyes when I hunted him down in electronics with my cart full of bins. I used my Silhouette for the kids names. They turned out so cute! I think I'm going to keep them in the top of each kids closet. I used a free printable from IHeartOrganizing to print off the super cute labels. 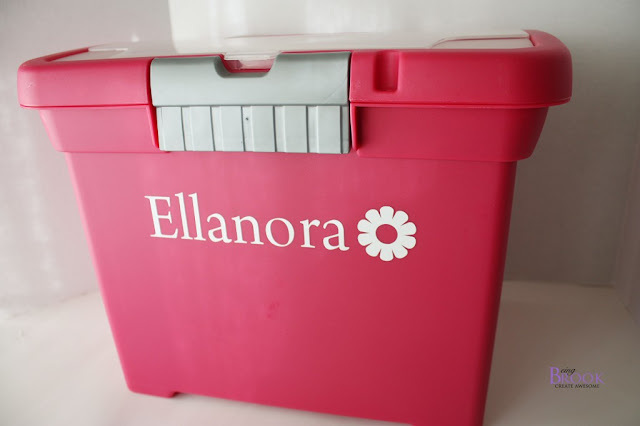 Since the pink bin was only $3 I even made one for Miss. E even though she won't start school for a couple more years. The file folders were $5 for like 100 and Walmart had hanging folder for $10 in way cute colors. 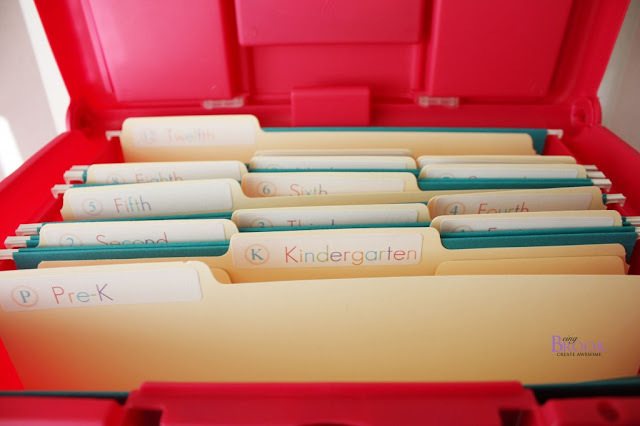 Love the turquoise files with the pink bin. Now I just have to sort through all the kids paperwork and decide what to keep and what to toss.